Ex-Assistant Editor, Indian Journal Of Practicing Doctors. Chief Editor of the official cultural magazine of the Govt. Medical College, Srinagar. 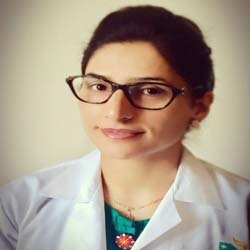 Paper Presentation entitled “Minimally Invasive Procedure For Hemorrhoids – Our Experience” at the 53rd Annual Conference of International College of Surgeons, Agra. Poster Presentation entitled “ Single Stage Procedure for Multiple Hydatidosis – Case Report” at 68th Annual Conference of ASI, Ludhiana. Paper Presentation entitled “ Single Incision Laparoscopic Surgery (SILS) – Our Experience” in SURGICON 2009, SGRH. Voluntary participation in various free medical camps organized by different NGOs like SAVE CHILDREN-UK; Directorate of Medical Missions-Damascus House Ministries, California; and Doctors without Borders. Contributed articles in the Journal of Doctors Association of Kashmir, in the Indian Journal of the Practising Doctor, and JK Practitioner. Contributed articles in the College Annual Magazine ‘KASHMED’.